I have a 32' Westinghouse HDTV sitting right next to my computer which I often hook up to use as a secondary or an external display. Up until now I had no idea how to make Quicktime full screen on it while using it as a secondary display. 3. 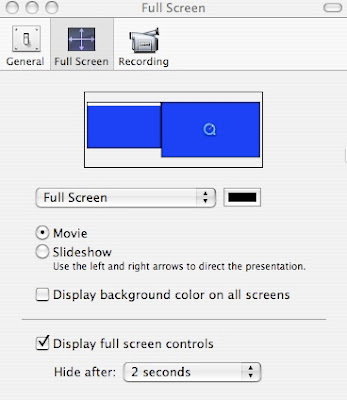 In the "Full Screen" tab simply drag the Quicktime logo to the screen you want to be able to do full screen on.